We have a lot of successes to celebrate from last year’s three-day 6 Degrees Citizen Space in Toronto, from Ai Weiwei accepting the Adrienne Clarkson Prize for Global Citizenship and the spellbinding conversation that followed, to the invigorating discussion stirred by our LaFontaine-Baldwin lecturer Michael Sandel, to Kent Monkman’s monumental work informing our 360s on Walls, Bridges, and Homes, to Sophie Grégoire Trudeau, Tyler Brûlé, The Rt. Hon. Adrienne Clarkson and The Rt. Hon. Beverley McLachlin wowing guests at the Leadership Lunch for 6 Degrees Youth Initiatives. 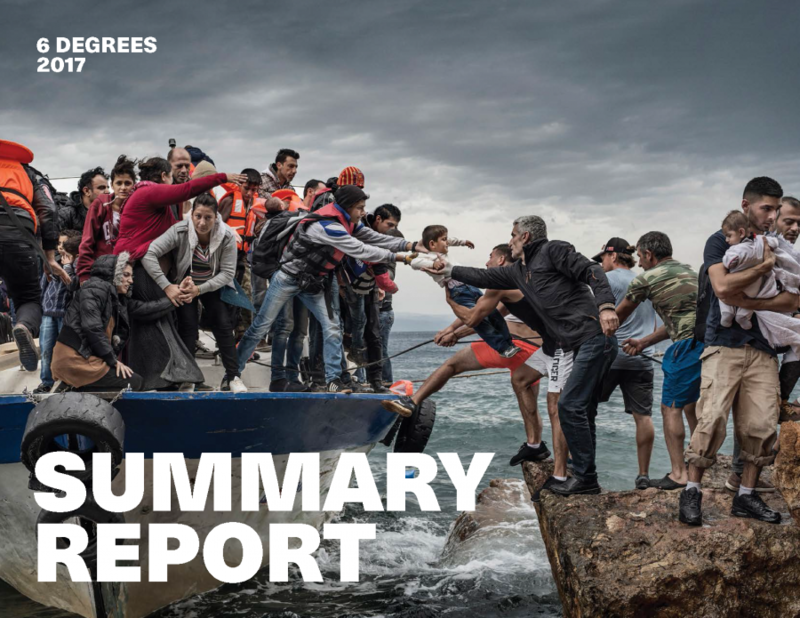 Our Summary Report records and celebrates all that transpired in 2017 – including events in Vancouver and the Hague – and looks ahead to 2018.